Move the "seed" slider to select a new problem. Check the check box to see the answer. There will be a problem similar to these on the Final Exam. 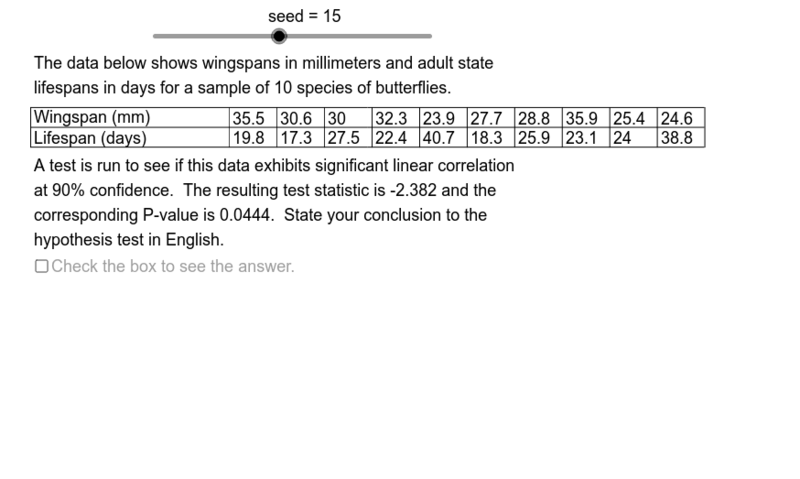 This applet is developed from problems #19, #20, #21, #22, #23, #24, #25, #26 on pages 597-98 of Navidi & Monk, "Elementary Statistics", 2nd edition, McGraw-Hill Education 2016. This applet was uploaded Nov. 2, 2016.